In France, Nicolas Sarkozy, the country’s former president, Manuel Valls, the former prime minister, Charles Aznavour, the entertainer, and Gérard Depardieu, the actor, have all added their names to a document calling on the State to tackle murderous anti-Semitism. The document signed by around 300 notables says France has mutated into “the theatre of murderous antisemitism”. Since 2006, 11 Jews having been “assassinated” because of they were Jews. 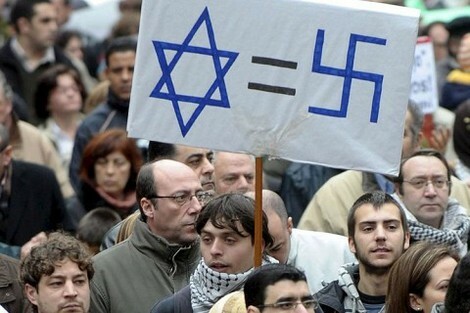 The document says France’s long and repugnant history of far-right French antisemitism is now joined by “a part of the radical left which has found in anti-Zionism an alibi for transforming the executioners of the Jews into the victims of society”. Sound familiar, Jeremy Corbyn and his fellow Labour apologists? It also accuses politicians of having made the “lowly electoral calculation that the Muslim vote is ten times bigger than the Jewish vote” – there are around 500,000 Jews in France, the biggest Jewish population in any Western European country. It’s serious. Last month, an 85-year-old Holocaust survivor was stabbed to death in her Paris flat. Her crime? Being a Jew.